Bulk sold argan oil is produced out from argan trees which are rich with nutrients to make an all natural moisturizer to the skin cells and hair scalp. This product is currently unique since it lacks completely any chemicals or additives. •	It eliminates wrinkles while making the skin softer and glowy. •	It treats scars and stretch marks. •	It helps damaged hair recovering and works with all types of hair and skin. If you are looking for a perfect beauty and health oil, then, there is no product better than Argan oil in bulk. It has unique regenerative properties. One of which is that it’s easily absorbed by the skin and the scalp. Argan oil in Bulk is a deluxe product that smoothes and reconditions the hair with its non greasy and free of alcohol recipe which helps in making your hair shinier and more glowing. 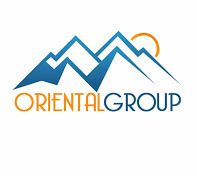 In Oriental Group, we provide argan oil in its diverse forms in bulk ,wholesale or individual bottles. We also provide a private labeling service for our clients wishing to resell the product.All our Argan oil has been certified organic CCPB and USDA and meet this end, international standards of quality extra virgin argan oil in bulk 100% organic product.